Grab your friends and come create with us! 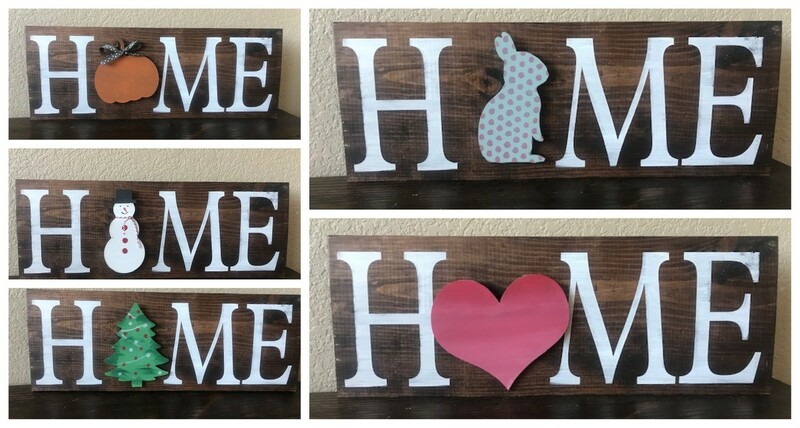 Paint this adorable HOME sign and add your own personal touch to four interchangeable seasonal wooden shapes. You can add other shapes for an additional cost. There will be 7 design options in total. All decorating supplies are included. The board measures 20 in. x 12 in.